For wheelchair accessible seats please call 6488 2440 Monday to Friday, 12pm to 4pm. It's 1933 and there's a new circus in town! Cirque du Caedis has every thrilling and mesmerising act you could ask for! The only problem is, no one cares. 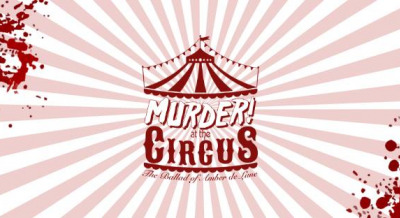 Dorian Dangerfield, the ringmaster, struggles to bring interest to the circus, until one night, their main act and lead attraction, Amber de Lune, is tragically murdered in the big top. With the sharp and cunning Detective Inspector Jones on the case, will this be the end of Cirque du Caedis, or will the show go on? With alibis and theories running wild, will the detective be able to figure out a straight story? What really happened that fateful night?